The rich rustic colors of this creative and solid arrangement with rural overtones, will appeal to anyone who loves the variety of Australian nature. Please Note: This arrangement contains some flowers which may be currently out of season in some areas. 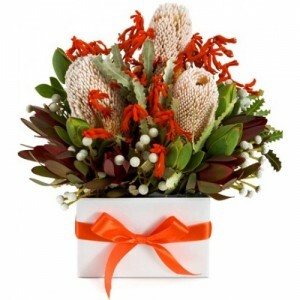 If these flowers are unavailable at our store, we will use our expert discretion to make an appropriate substitution.